"Wellingtons" date back to the 17th century. 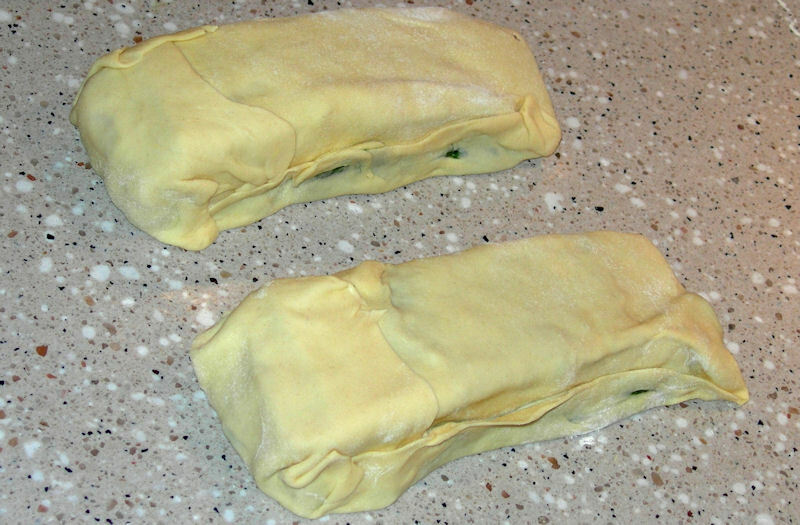 The original "Beef Wellington" is basically a filet of beef, covered with potted mushrooms, and baked in a puff pastry crust (filet de bœuf en croûte). Wellingtons are also made with other meats, such as my duck breast wellington (though mine uses a special fig compote instead of potted mushrooms). 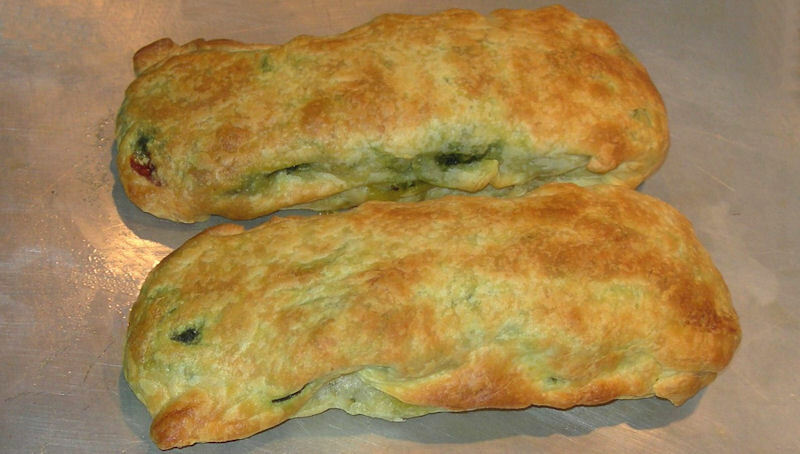 In my Salmon Wellington, I use my spinach pesto. 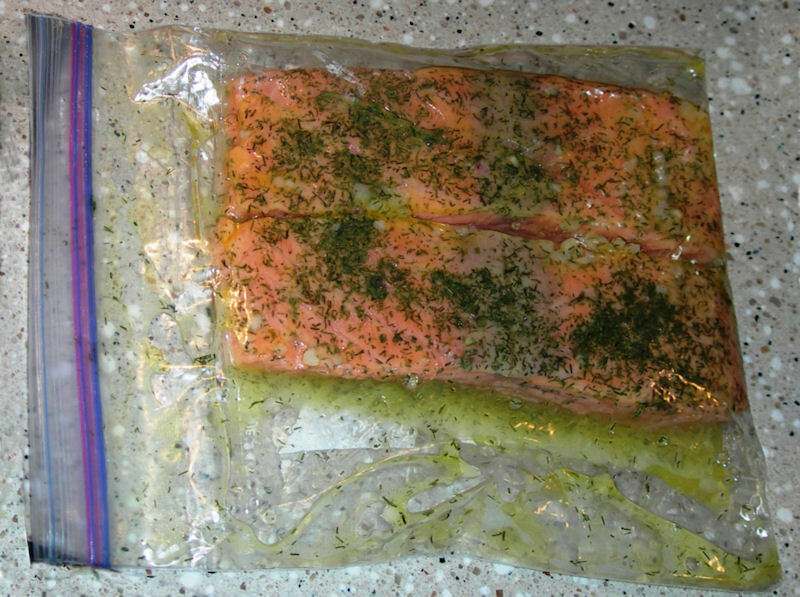 Pacific salmon is less oily then Atlantic salmon, and tastes better (believe me - I have lived in Seattle for 5 years). With a rolling pin, roll out the dough on a flour-dusted surface, until about 1/3 bigger - the dough should almost be translucent. 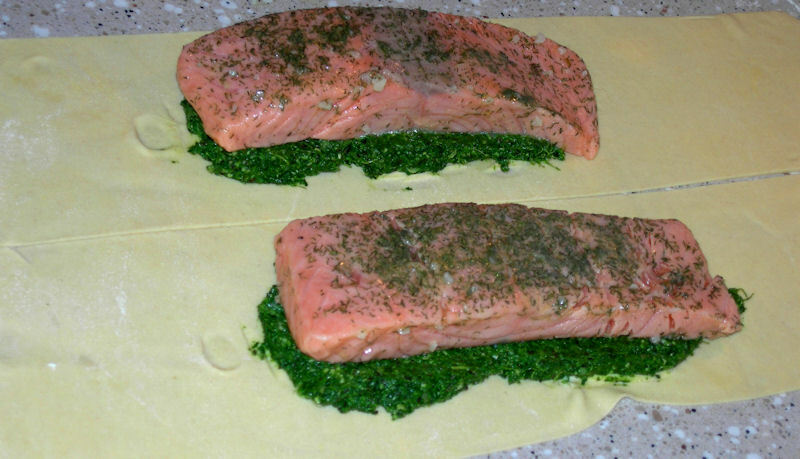 Cut into strips that are more than twice the length of the filets, and wide enough to completely wrap a salmon filet (with pesto on it). 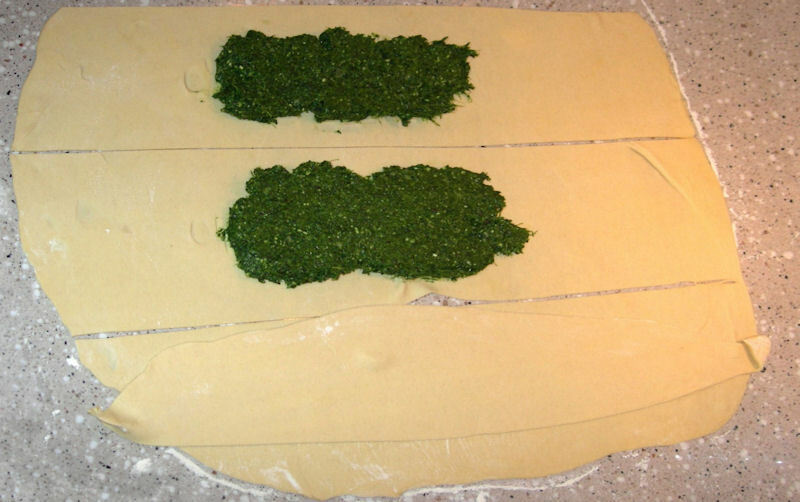 In the middle of each strip, spread a generous amount of pesto (about 1 cm high; ½"), the size of the filet. See photo below. Put a filet on top of the pesto. If the filet is very thin towards one end, fold that end over onto itself. See photo below. Cut off excess dough - especially the doubled layer. Turn the the dough envelope over. See photo below. The pesto can be made one or more days ahead of time, and be kept in the refrigerator. if you do so, make sure the pesto is back at room temperature when you use it!